Not many soccer players can boast of a successful career post retirement but in the case of Dutch legend Frank de Boer, an exception can be made. Apart from being one of the icons of the sport de Boer has had a successful run as a manager – a rarity amongst most soccer players once the shoes come off for good. De Boer was known to be a strong tactical player but his success as a soccer team manager came largely from the fact that he could spot a player’s skill and help him develop that to full capacity. Most of de Boer’s professional career was spent at Ajax both as a player (1984-1988) and as a manager (2010-2016). 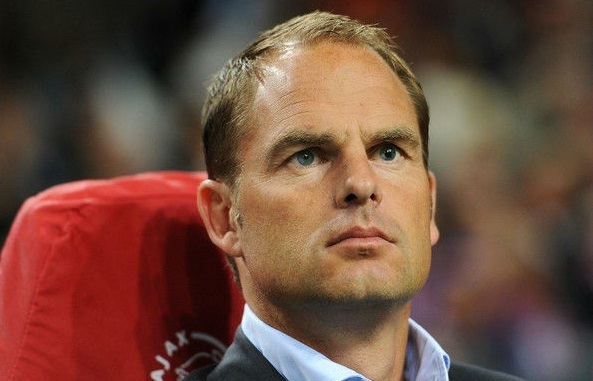 Recently de Boer has made the move to manage Serie A side Internazionale. His twin brother, Ronald de Boer is also a soccer player albeit not as successful as Frank. He is also the uncle of up and coming soccer players Rudd Jong and Jaap Jong who play for HSV De Zuidvogels. Franciscus de Boer was born in May 1970 in Hoorn, Netherlands. Known mostly as Frank, both he and his brother developed a strong talent for soccer from an early age onwards. Both brothers were in their early teens when recruited for Ajax in their youth team. This was soon followed by a decade long professional career in Ajax, then at Barcelona, Galatasaray, Rangers, Al Rayyan and Al Shamal. De Boar suffered one set back throughout his rock solid professional career, when in 2001 de Boer tested positive for a banned substance and was fined from playing soccer. No doubt the suspension took some time away from him de Boer was able to get reinstated after a successful appeal. For his almost two decade long career at Ajax, de Boer won them five Eredivisie titles, two KNVB Cups, one UEFA Cup, one UEFA Champions League trophy – a record for any player at Ajax. The run didn’t just end here, at Barcelona he spearheaded the team to two consecutive La Liga titles and captained the Oranje to the semifinals of the 1998 FIFA World Cup and the 2000 UEFA Euro. He managed to carve quite a fruitful career as a manager as well. De Boer is the most capped player in the history of the Netherlands team; he has represented his team a total of 112 times. An injury caused a slight distraction to his professional career which forced him to cut short his professional soccer player. The injury worked out for him in the end, as his career as a manager really took off and made him a household house. By 2003 Frank de Boer was the only Dutch player to gain 100 caps. He had completed a hat-trick of Eredivisie crowns in 2013, equaling the record of Rinus Michels and Louis van Gaal, by winning four titles in a row. Not many players can boast of a successful career post retirement but de Boer’s luck continues to run.